This post is for the few Jacob fans here. The Twilight Saga: Breaking Dawn Part 2 is finally coming to DVD and Blu-ray. Soon you will be able to get your hands on the final film and all of the bonus goodies that come with it. The big day is… March 2, 2013. Check out the details and bonus features below. The Blu-ray and 2-disc DVD will include hours of bonus materials that are sure to satisfy even the most dedicated fans. A seven-part making-of documentary will provide an incredibly detailed behind-the-scenes look at how the finale of this epic series came together, including Bella’s transformation, a global cast of vampires and the shocking climactic battle scene. The significant challenges of shooting Breaking Dawn – Part 1 and Part 2 back to back are exposed in the feature, “Two Movies at Once.” Viewers will also be able to gain new insight into the making of the film with an audio commentary by director Bill Condon. “Jump to” features allow fans to watch only their favorite scenes in the film featuring Edward Cullen and Jacob Black. 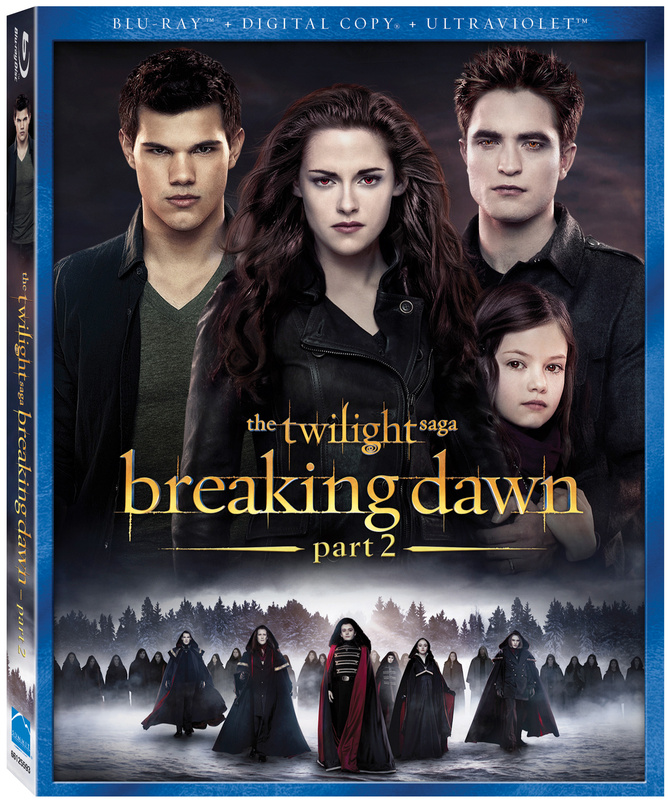 The Twilight Saga: Breaking Dawn – Part 2 arrives on Blu-ray Disc and 2-disc DVD for the suggested retail price of $39.99 and $30.98, respectively. The Twilight Saga: Breaking Dawn –Part 1 Extended Edition will also be available on March 2nd Both releases will be available for pre-order on January 14th, 2013.
Who here is actually excited about the release?